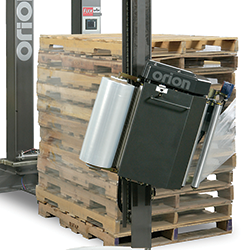 Brenton Robotic Case Packers achieve operational efficiencies through the compact footprint, space flexibilities, and unsurpassed uptime. Robotic assets are redeployable to accommodate a wide range of sizes and product types- cartons, pouches, cans, bottles, etc. In addition to the naturally reliable nature of robotics, Brenton Robotic Case Packers and systems are fully tested and debugged at Brenton's facility. 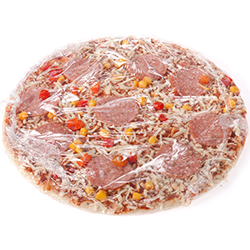 Implementing robotics into a packaging operation help to remain globally competitive with the ever changing product types and varying volumes. 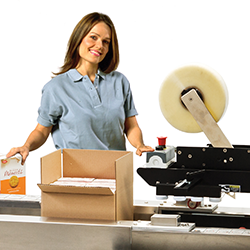 A Brenton Robotic Case Packer allows businesses to meet super store and retail demands. 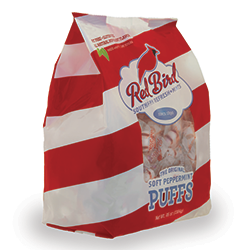 Production efficiencies include the ability to process multiple SKU's, manage varying product sizes, and create many pack configurations. With the implementation of a Brenton Robotic Case Packer, businesses see reduced labor costs such as wages and worker benefits. 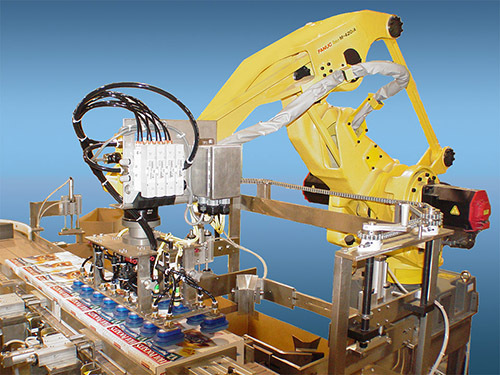 The Robot Case Packer machinery accommodates a wide range of sizes and product types. Brenton is recognized by FANUC as having unique expertise in applying FANUC robots in various secondary packaging operations. Certified Servicing Integrators (CSIs) are FANUC Robotics' most highly trained Integrators, and Brenton is counted among them. As a CSI, Brenton is authorized to integrate and perform warranty repair on all FANUC robots Brenton supplies. We also provide training, parts, and service. While many companies say they can integrate FANUC robots, a modest number are actually certified. In fact, of all FANUC Robotics' Authorized System Integrators, only 4% are Certified Servicing Integrators. That status requires our technicians to pass specialized training and testing and ensures our engineers are experts on all areas of robotic maintenance: electrical, mechanical and software. The highest level of certification is reserved for the FANUC Robotics Master Certified Service Engineer. Brenton has successfully certified (1) one Master Certified Service Engineer and (2) two Certified Service Engineers. Which is the optimal solution for your company? 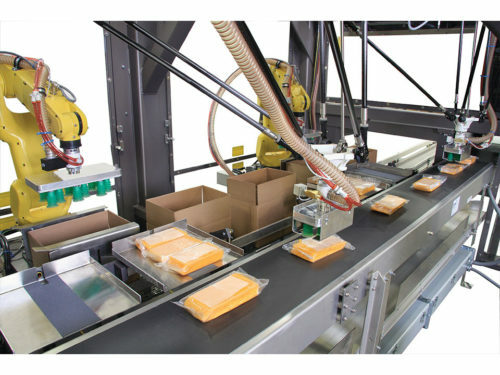 Deep robotic programming capability to excel in vision guided pick-and-place for high speed packing.